Do You Dare to take a giant leap into the past and experience what the world was like before your time? Riding on the success of its historical fiction series for girls (Our Australian Girl already has 32 books) Penguin has just launched the parallel series for boys: Do You Dare? 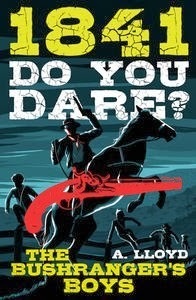 Those who have eagerly awaited a quality historical fiction series for boys will not be disappointed. Each book immerses us in a specific year in Australia’s history and every tale is brought to high-action life through the experiences of a boy and his friends. Together, they meet surprising villains and face serious, even life-threatening situations. 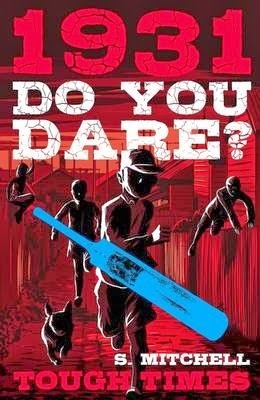 What I think I like most about the Do You Dare? series is that sometimes it is the most respectable, and those in authority, who are the most dangerous. When life gets tough, people in history have always been resourceful. This leads to the rise of iconic characters and the Do You Dare? books make a point of introducing us to them. We meet bushrangers, illegal bookies, debt collectors and Australia’s own version of Willy Wonka. While the Do You Dare? books immerse us into the world as it was, they also offer some special extras for the targeted audience of boys between 8 and 12. High action scenes, loveable characters, dastardly villains and family pets in strife will be sure to hook young readers into the wonderful world of historical fiction for life. Get ready to be immersed into Australia’s past, complete with backyard cricket, local gang wars, secret hideouts and so much more. I devoured the first two books and can’t wait for the next ones to hit the shelves. Awesome — and not just for boys.